It is always a tough job for a lazy people like me to review a palette as I really love to play with colors but when it comes about writing a post on it I feel really bored but this palette is something that I am really excited to share my pictures and swatches along with my review. 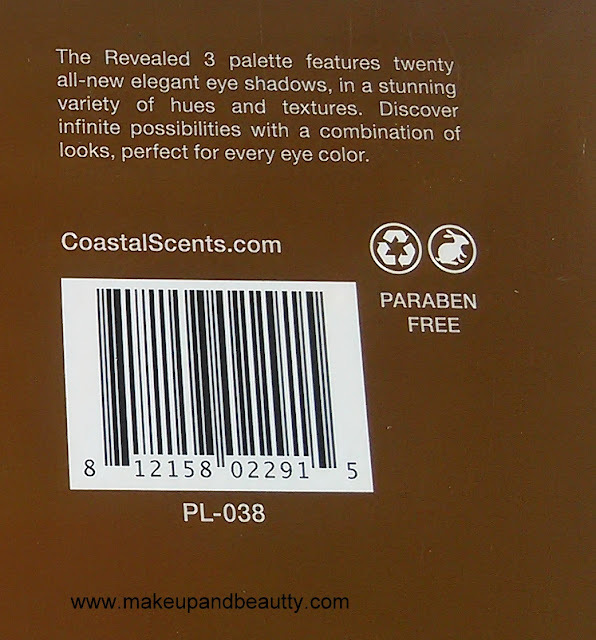 Yes coastal scents launched three beautiful palettes which are named “REVEALED, REVEALED 2 & REVEALED 3”. 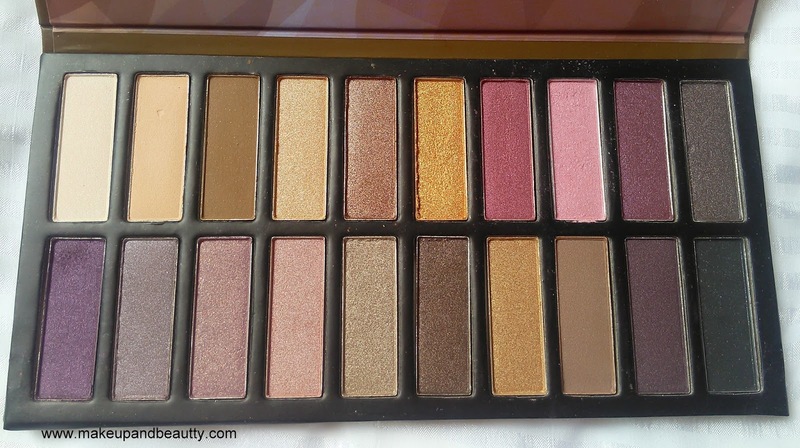 The palettes are based on neutrals and it is said that they are pretty close dupe of urban decay naked palettes. Both the other two palettes (REVEALED 1& 2) are very popular and have been hailed by many beauty bloggers and you tubers. 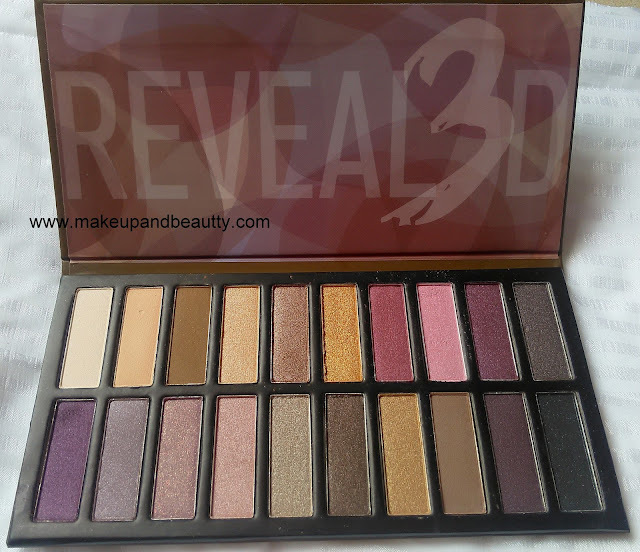 So, among the three I thought to grab the third palette first as there are few shades which I don’t think present in my Urban decay naked palettes so I brought REVEALED 3. And here it is…tadaaaaaaaa !!! 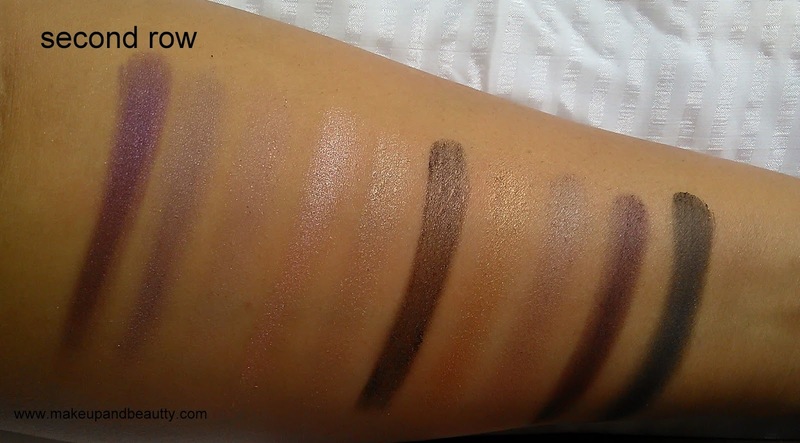 Price: - $19.95 for 30g for 20 pretty eye shadows. The Revealed 3 palette features twenty all-new elegant eye shadows, in a stunning variety of hues and textures. Discover infinite possibilities with a combination of looks, perfect for every eye color. Ingredients: Talc, Mica, Aluminum Starch Octenylsuccinate, Magnesium Stearate, Kaolin, Dimethicone, Phenyl Trimethicone, Ethylhexyl Palmitate, Octyldodecyl Stearoyl Stearate, Polymethyl Methacrylate, o-Cymen-5-ol, BHT. May Contain: Mica and Titanium Dioxide, Silica, Iron Oxides, Chromium Hydroxide Green, Chromium Oxide Greens, Manganese Violet, Ultramarines, Ferric Ferrocyanide, FD&C Red 40 Al Lake, FD&C Yellow 5 Al Lake, FD&C Blue 1 Al Lake. The palette comes in a cardboard box with magnetic lid. The packaging is sturdy but I doubt will it ever survive a fall from hand or not. I wish there is a mirror inside along with a touch up brush so that it would have been travel friendly. 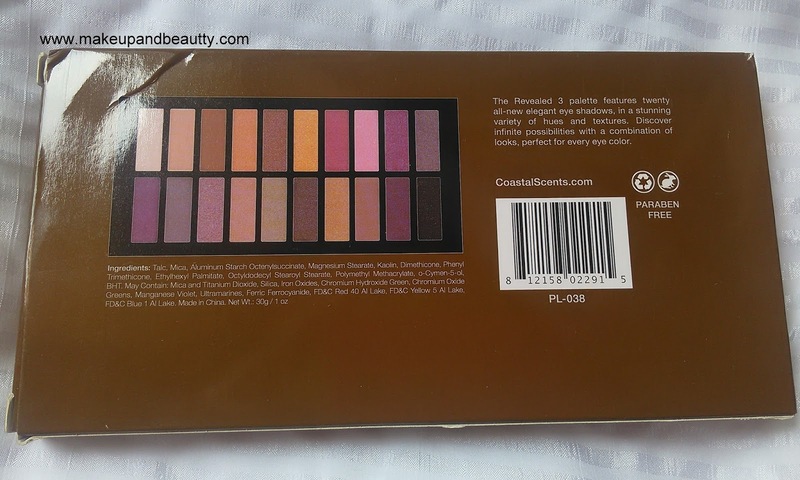 The palettes have beautiful 20 neutrals shades from soft neutrals to bold purples and black. 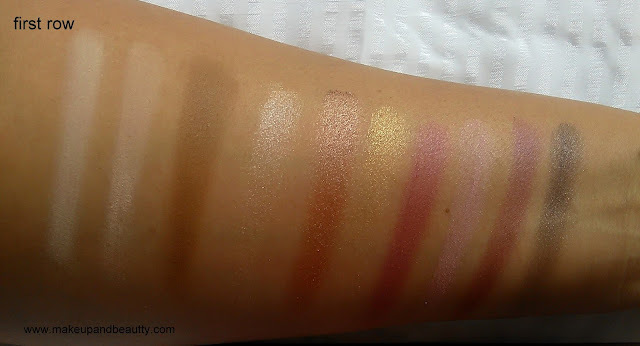 One can create a bold and soft look with this same palette. The shades are pretty soft in texture. But there are few shades which have fall outs. Like the matte purple shade has good fallout. 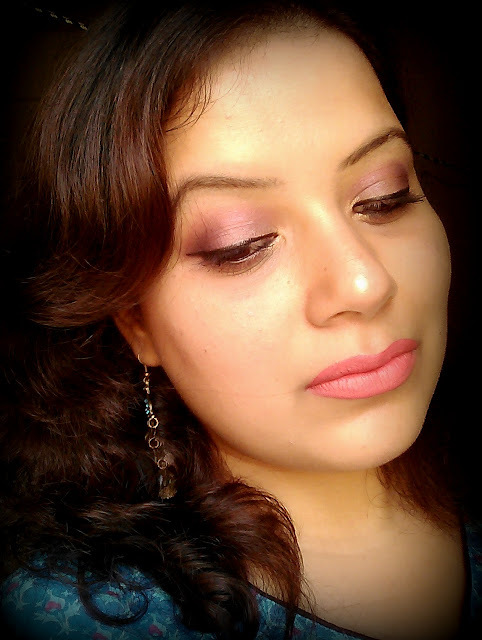 Few neutral matte shades are chalky a bit but I think all this chalkiness can be solved with a good eye primer and base. The shades are all medium pigmented except few dark shades which are really pigmented and less fall outs. 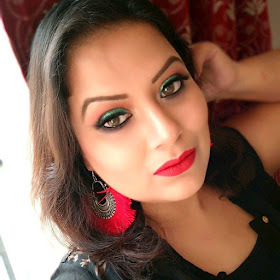 The palette is really good for beginners and for those who can’t laid their hands on urban decay palettes due to its unavailability in India or due to high price. In short, I like the Revealed 3 palette and I am now planning to grab the revealed 2 palette as it has many rosy pink shades. 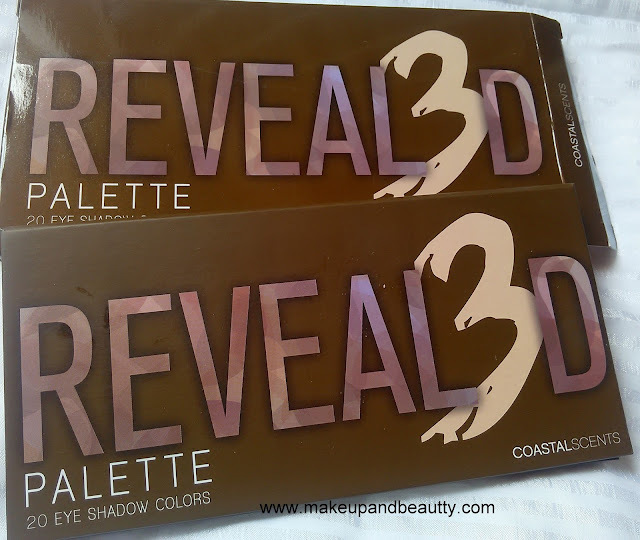 Finally it's me creating a look using the coastal scents revealed palette 3 ! 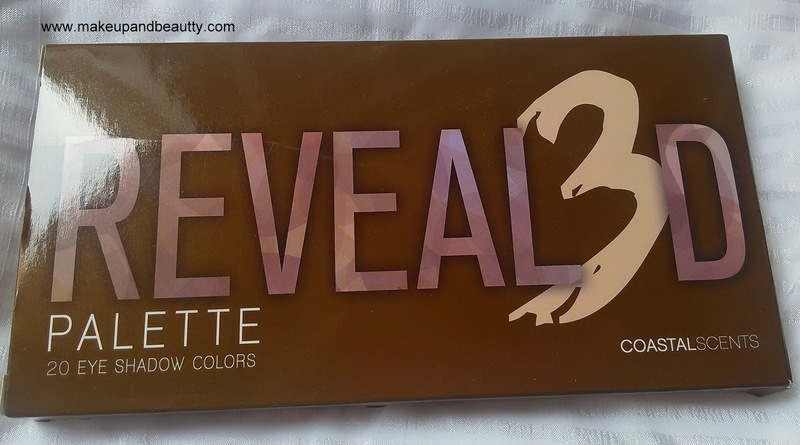 So which Revealed palette you love most and which one you have? as gorgeous as always.. do share your skin care regime! More than the palette, I am loving your look. You look so dreamy! Thanks a lot Samannita!! 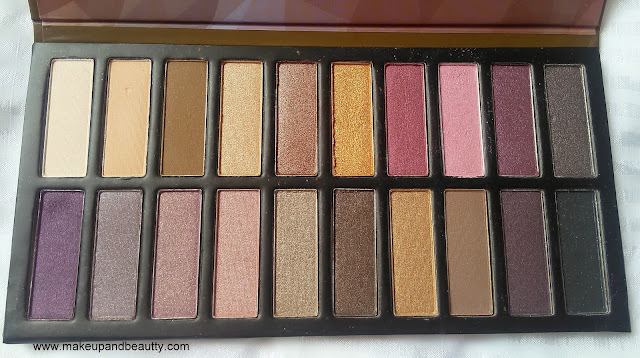 I was looking for a good palette and seems to be an ideal option. And yes you look stunning. Great Blog, awesome post....Hope to stay connected for long.